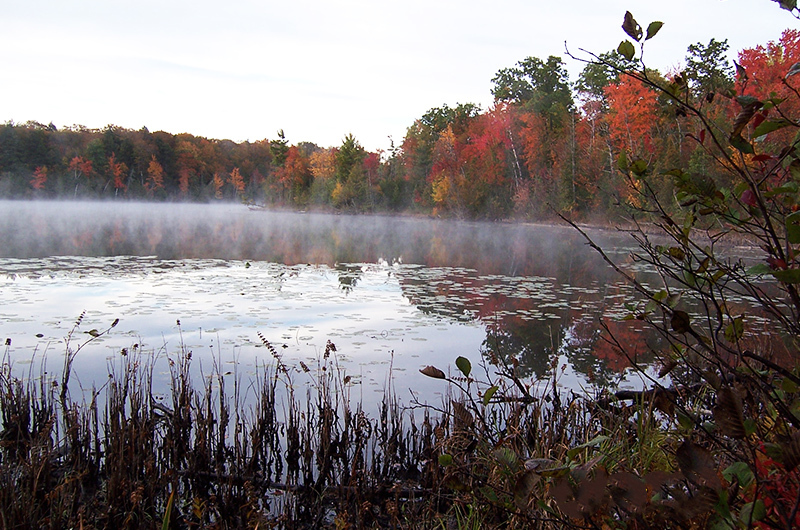 A Natural Features Inventory (NFI) was conducted for Long Lake Township as part of the Township’s Comprehensive Plan for preserving the natural beauty and significant natural features of the community. The goal of the NFI was not only to identify the Township’s existing natural features but also to provide a baseline data set to be used for future land use planning. Identification of the significant natural features in the Township is essential to determining the future land use and preservation plan for the Township. The NFI will allow for responsible, integrated land use and provide a tool for measuring how the Township’s natural features change over time and what management strategies might be needed to protect them. The NFI was developed in GIS with the intent that it can be used on a daily basis by Township staff when evaluating land use. The power of the GIS-based NFI is that detailed information, including photographs, quality assessment, restoration potential, ownership, land use, aerial photographs, field assessment data, connectivity, and disturbance can all be assessed instantaneously with the click of a button. Niswander Environmental designed the NFI to be a tool that can be used by Township planning, engineering, and parks staff on a daily basis to evaluate projects and potential impacts to natural resources. Niswander Environmental evaluated the quality of the natural resources in order to provide guidance for the preservation, restoration, and management of the Township’s open space. In addition, the NFI was used to determine if and how effectively the natural resources of the Township were protected by the existing ordinances and if changes or amendments to the ordinances would provide additional protection in the future. Finally, this NFI allows the evaluation of what effect a proposed project will have on natural features at a landscape level. The Comprehensive Plan for Long Lake Township, Community Forestry Plan, Forest Stewardship Plan, Parks and Recreation Plan, and Master Plan for Grand Traverse County were the primary documents used in developing the goals and objectives of the NFI. The NFI identified steep slopes, floodplains, wetlands, watercourses, woodlands, threatened and endangered species and subsequent Priority Natural Areas within the Township. Geographic Information System (GIS)-based maps of each of the Township’s natural features were generated as part of this NFI. A public meeting was held in April of 2006 to provide Township residents an opportunity to become familiar with the NFI project, provide feedback, and address questions or concerns, and interact with Niswander Environmental staff. Upon the completion of the April 2006 field investigations, Niswander Environmental analyzed the field data and developed an interactive GIS database that connected site specific data with points located on the map. Based upon the NFI, the Township was able to acquire and preserve several high-quality private properties.